WASHINGTON, DC, November 8, 2012 (ENS) – The first space-based instrument to monitor major air pollutants across the North American continent hourly during daytime is in the works.The sensor will be placed aboard a commercial satellite to make observations of ozone, nitrogen dioxide, sulfur dioxide, formaldehyde, and aerosols in the atmosphere’s tropospheric layer. 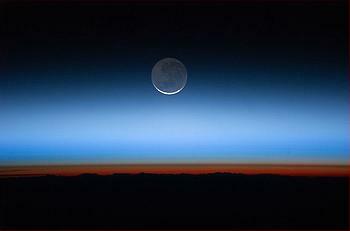 The troposphere is the lowest and most dense portion of Earth’s atmosphere. It contains approximately 80 percent of the atmosphere’s mass and 99 percent of its water vapor and aerosols. From 14 proposals submitted to the Earth Venture Instrument program, NASA has selected an instrument that will be built by the Smithsonian Astrophysical Observatory in Cambridge, Massachusetts by 2017. The chosen project, known as Tropospheric Emissions: Monitoring of Pollution, or TEMPO, is led by principal investigator Kelly Chance of the Smithsonian Astrophysical Observatory. This research institute of the Smithsonian Institution is joined with the Harvard College Observatory to form the Harvard-Smithsonian Center for Astrophysics. Experienced in this unique line of work, Chance is on the science teams of the Ozone Monitoring Instrument now in orbit on NASA’s Aura satellite and two European air quality space sensors. The TEMPO instrument will share a ride on a commercial satellite as a hosted payload to an orbit about 22,000 miles above Earth’s equator, in a geostationary orbit. An object in a geostationary orbit has an orbital period equal to the Earth’s rotational period. To ground observers it appears motionless, at a fixed position in the sky. Communications satellites and weather satellites are given geostationary orbits, so that the satellite antennas that communicate with them can be pointed permanently at the position in the sky where they stay. “NASA is excited to make this initial step into using commercially available space on geostationary communication satellites to engage in cutting edge science,” said John Grunsfeld, astronaut and associate administrator of NASA’s Science Mission Directorate in Washington. TEMPO will observe Earth’s atmosphere in ultraviolet and visible wavelengths to determine concentrations of many key atmospheric pollutants with high resolution and frequency. From geostationary orbit, these observations can be made several times each day when North America is facing the Sun instead of once per day, which is the case with current satellites orbiting a few hundred miles above the surface. Investigation costs will be capped at $90 million, excluding the launch vehicle and integration to the selected satellite platform. Numerous commercial communication satellites are expected to be suitable for the TEMPO instrument in the 2017 time frame. Other space agencies are planning similar observations over Europe and Asia after TEMPO is in orbit, allowing for the formation of a constellation of geostationary air quality satellites.